Michael Jeffrey Jordan was born in Brooklyn, New York, on February 17, 1963, he is the greatest basketball player of all time, Jordan was one of the most effectively marketed athletes of his generation, and was instrumental in popularizing the NBA around the world in the 1980s and 1990s. He enrolled at the university of North Carolina in 1980 and he had a stand-out career, he also won the National Basketball Championship as a college freshman. In 1994, Jordan played on the U.S. olympic basketball team that won the gold metal, also in the same year, joined the NBA as a player for the Chicago Bulls. He quickly emerged as one of the stars of the league, entertaining crowds with his prolific scoring, also he was nicknamed “air Jordan” and “his airness”. 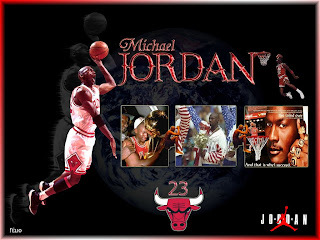 Jordan became the NBA’s most valuable player (MPV) and would win the title six times. 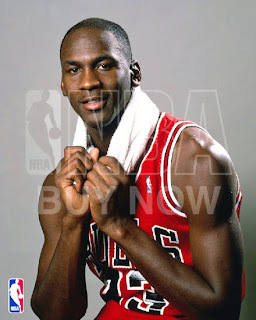 In 1991 he won his first NBA championship with the Bulls, and followed that achievement with titles in 1992 and 1993, though Jordan left the NBA at the beginning of the 1993-94 NBA season to pusue a career in baseball, but he returned to the National basketball assosiation (NBA) in march 1995 and led them to three additional championships, after that Jordan retired from basketball in 1999, but he returned for two more NBA seasons in 2001 as a member of the Washington Wizards. Finally is important you know he was named the greatest North American athlete of the 20 th century by ESPN, and he will be eligible for induction into the basketball Hall of Fame in 2009. Ok. That’s all for today.